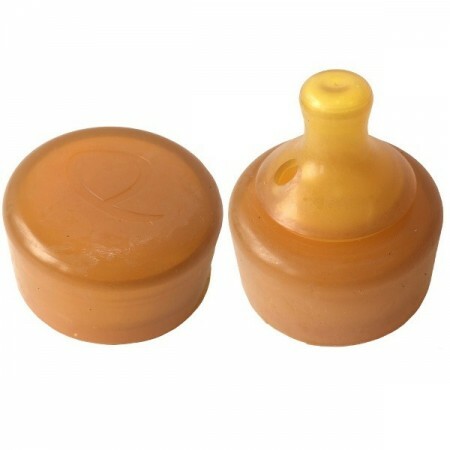 A pure hevea rubber replacement Teat and Cap for the Baby Quoddle glass nursing bottles. Completely plastic free. Recommened for 0-3 months. Buying this product = 14 Reward points for Members. Your cart will total 14 points = voucher of $0.70. Not a Member? Join at checkout to claim these points. All components are free of BPA, polycarbonates, phthalates and PVC. Compliant with Australian and International standards. 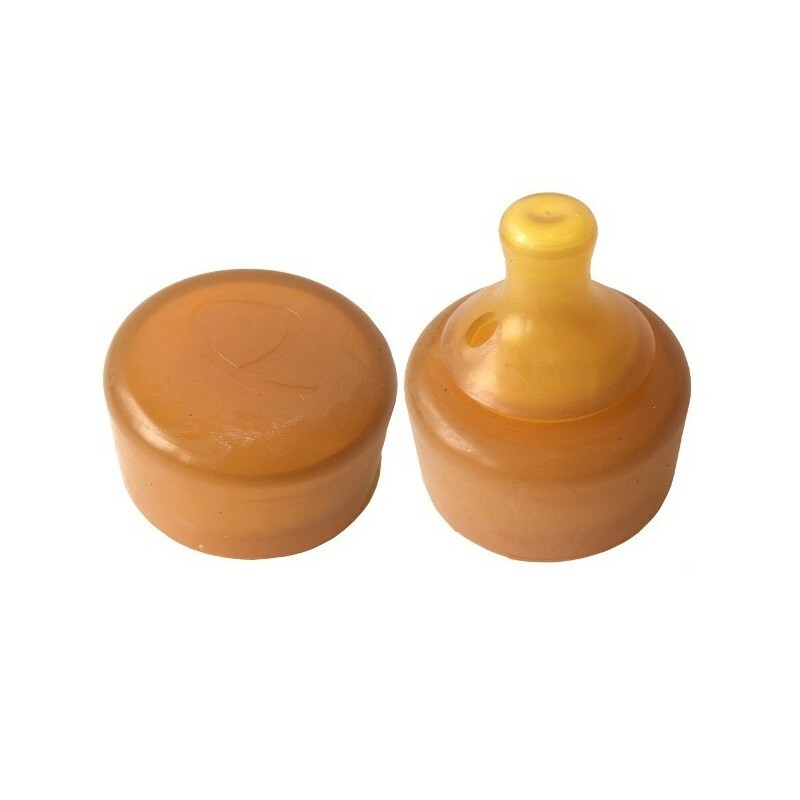 Rubber teats are softer than their silicone counterparts. Very hygienic as teats are moulded from one piece without joints or cracks where dirt and bacteria can accumulate. 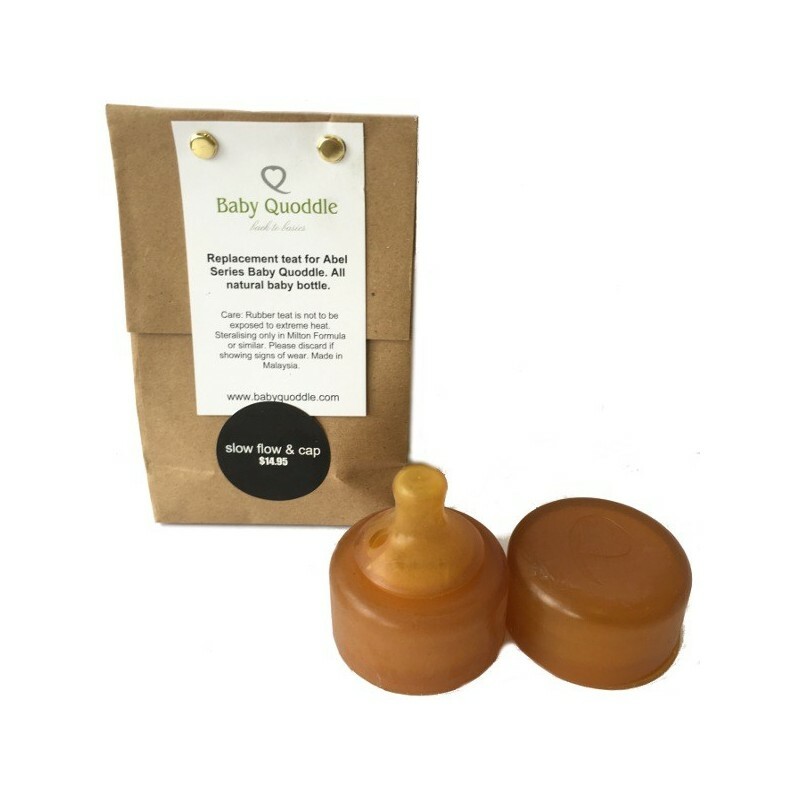 For cleaning of the rubber Baby Quoddle recommends the 'Milton' formula or tablets. 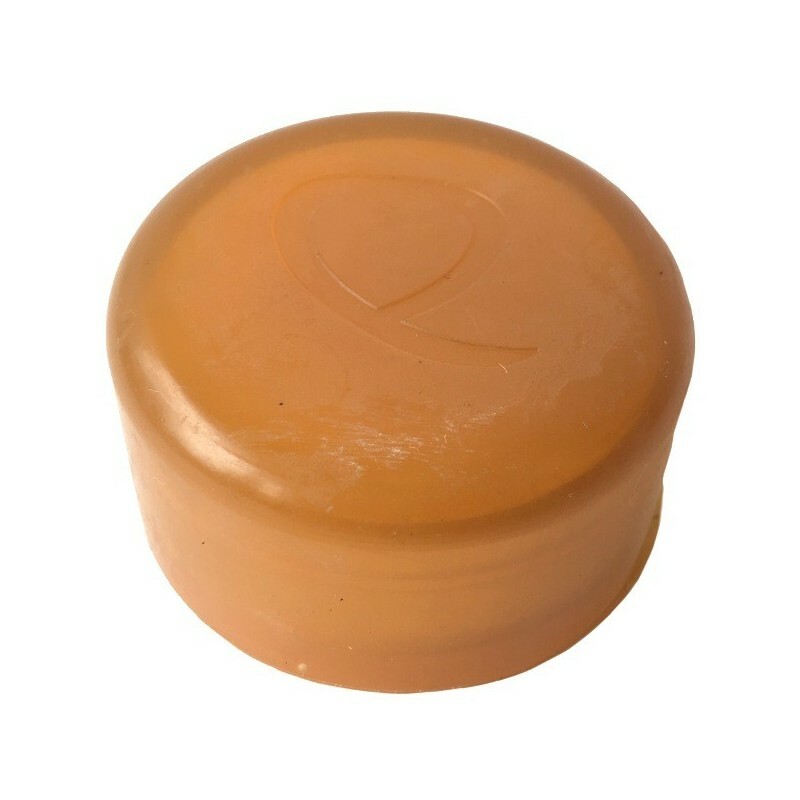 6cm x 5.5cm teat, 3cm x 5.5cm cap. Brasiliensis hevea rubber. 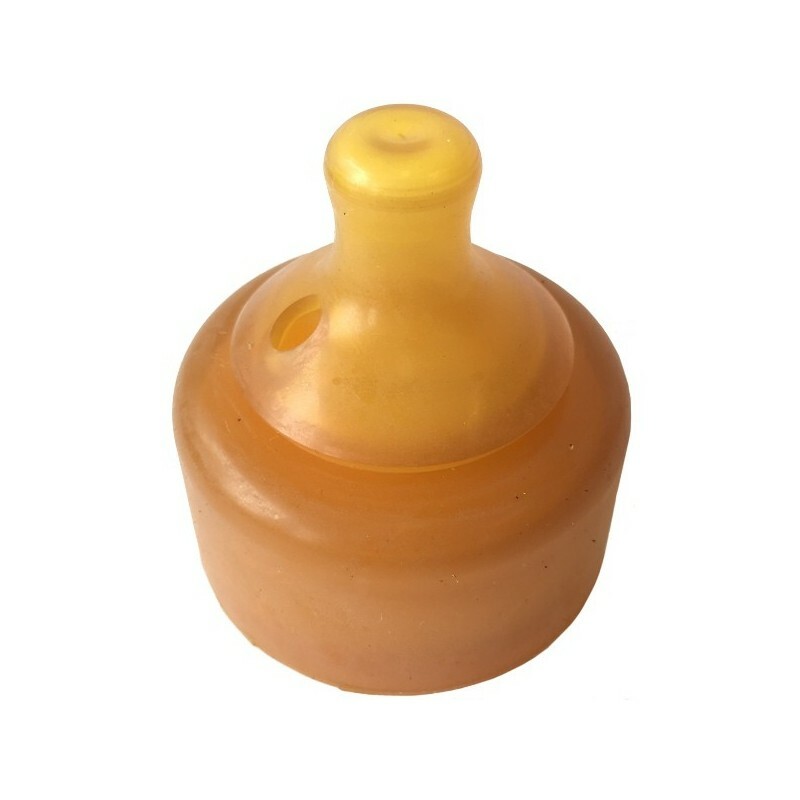 Browse our other baby bottles accessories. I have not tested this with bubba but I am impressed by the quality of the make!